The Springbok victory and masterplan was all about reduction of time and space. 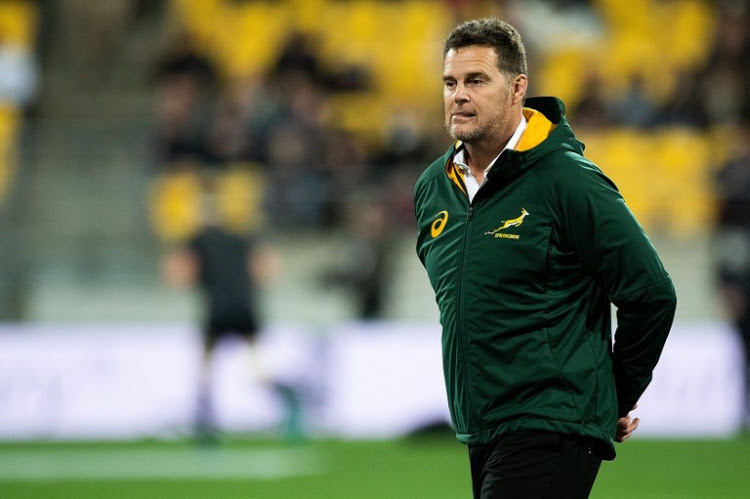 Rassie Erasmus, like anyone else for that matter, was not born a strategic thinker, (it is more nurture than nature); he developed his rugby intelligence over time. Back in the day, All Black tours were the breeding ground for the development of strategic thinkers. With two matches each week against different teams, we were forced to think hard and fast about our game plan and specifically, how we were going to beat each opponent. This was very much player driven. Some coaches were better than others at stimulating this activity, but without doubt the result was the development of great thinkers like Wayne Smith, Graeme Mourie, Andy Haden, Grant Fox and many more. When we designed the IRANZ programme, there were three areas of focus, which were non -negotiable; all of which, interestingly, are generally still neglected by mainstream rugby academies. These areas are Positional Coaching, Mental Toughness and Rugby Intelligence. The latter includes modules like, strategic thinking, vision and decision-making and patterns of play. The earlier a player develops a foundation in these, the better. Coaches select smart players who make good decisions. The higher the level, the more important this becomes.